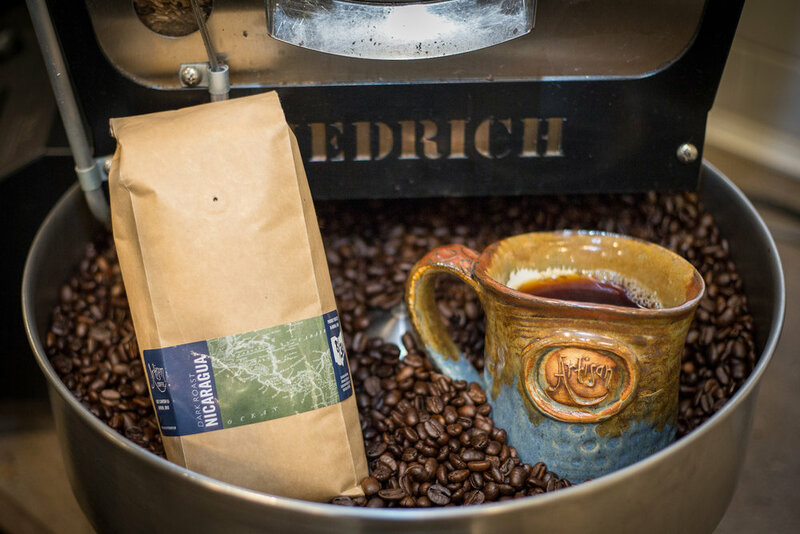 All of our coffee is roasted at our shop in Ellet, Ohio using Fair Trade, Organic beans. Notes - Mild, sweet, cocoa and lemon. Notes - Milk Chocolate, Melon, Floral, Fruity Acidity, Smooth Mouthfeel. This is our signature espresso and our only blend made up of multiple origins. Medium - Dark Roast, which maintains more of the natural flavor of the coffee and keeps it super smooth! Notes - Caramel, Lemon, Toffee, with an herbal aftertaste. Sweet with a citric acidity and a smooth mouthfeel. Notes - Chocolate, syrupy with light fruitiness.